SOLD!!! 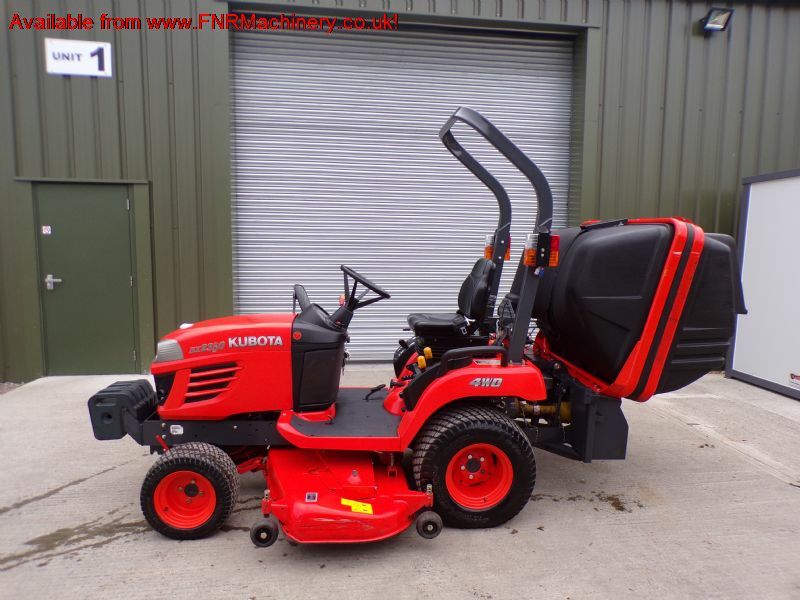 KUBOTA BX2350 SUB COMPACT TRACTOR LOW TIP SOLD! Brief Description: HOURS 533. 23HP 3 CYLINDER KUBOTA DIESEL ENGINE. 4X4. 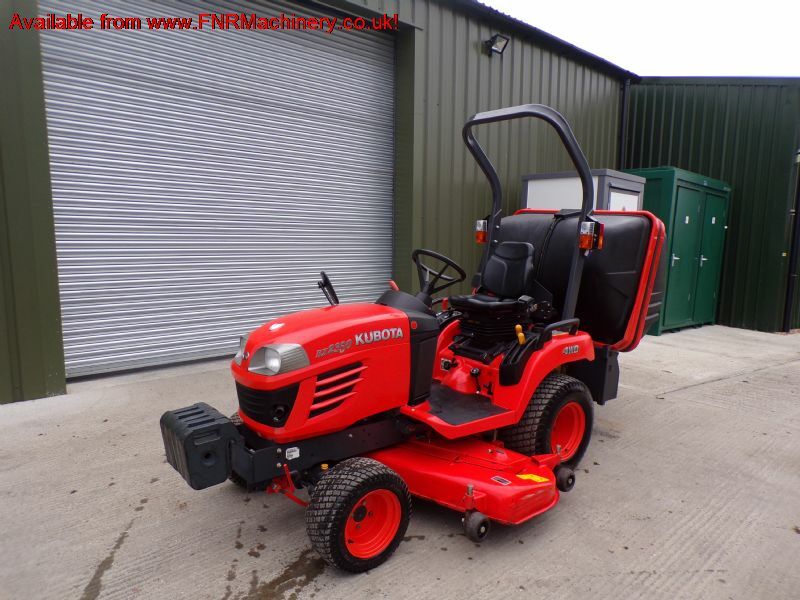 SUB COMPACT TRACTOR WITH 5FT CUTTING DECK. LOW TIP COLLECTOR WITH SIDE SHOOT. TURF TYRES. REAR & UNDER PTO. 3 POINT LINKAGE. SV. PAS. HST. ROPS. TOW. 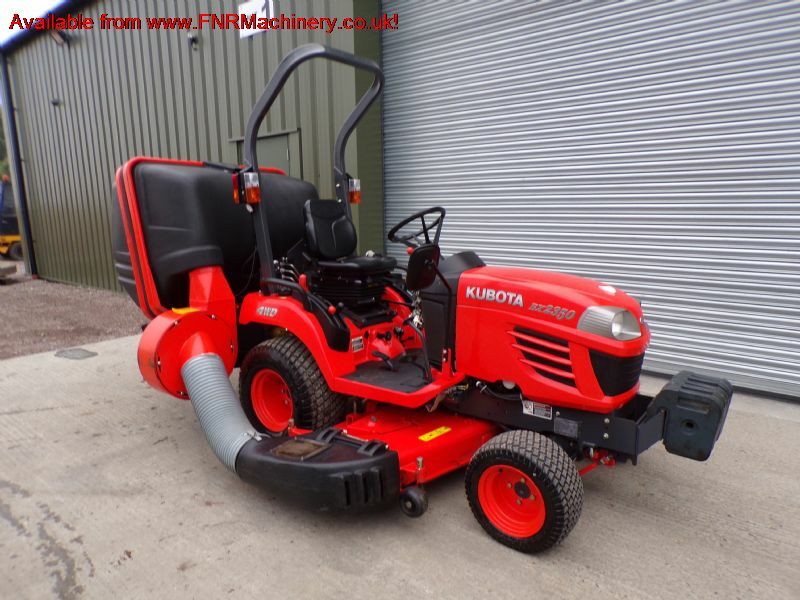 More Information: Comfortable, capable and compact - Kubota's BX2350 is an incredibly versatile tractor, built compact enough that it has the speed and agility of a smaller machines, while maintaining the power and adaptability you would expect from a Kubota tractor. 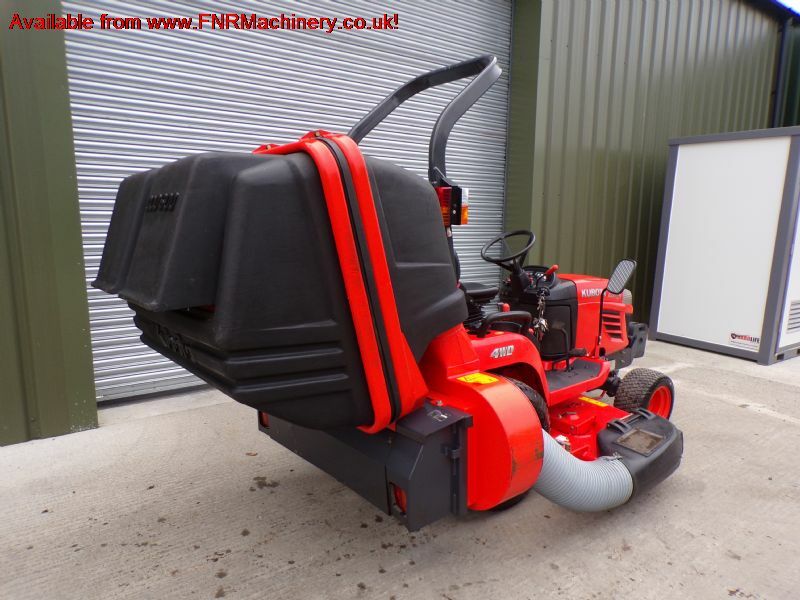 Excellent levels of power & quality - With an impressive 23HP, 3 cylinder indirect injected, liquid cooled diesel engine, the BX2350 uses only the best components to ensure you won't be let down by its performance or reliability. Travelling speeds up to 13 km/h (10 km/h in reverse) along with a 25 litre fuel tank, mean you will spend less time refuelling and less time travelling between sites. 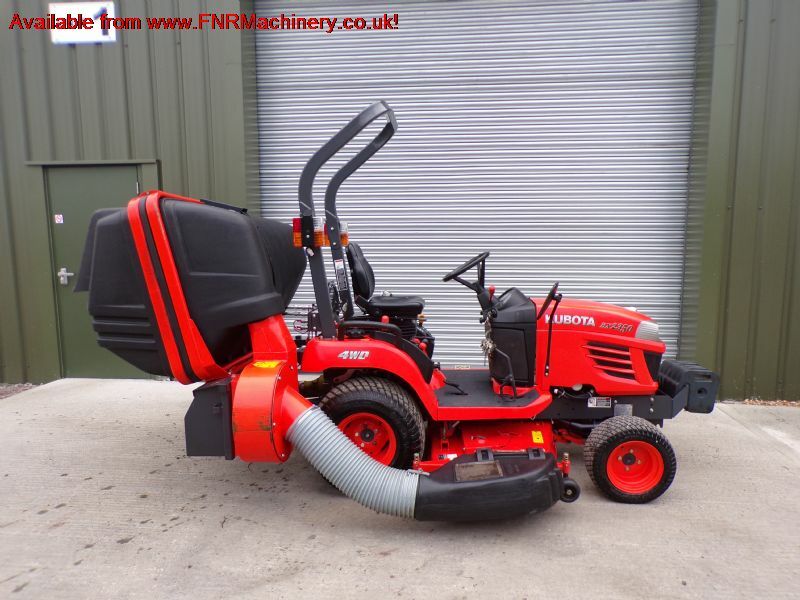 Comfortable & easy to control - This is a very comfortable machine to operate, with HST transmission and power steering taking the strain off the operator and allowing you to spend more time behind the wheel without fatigue. 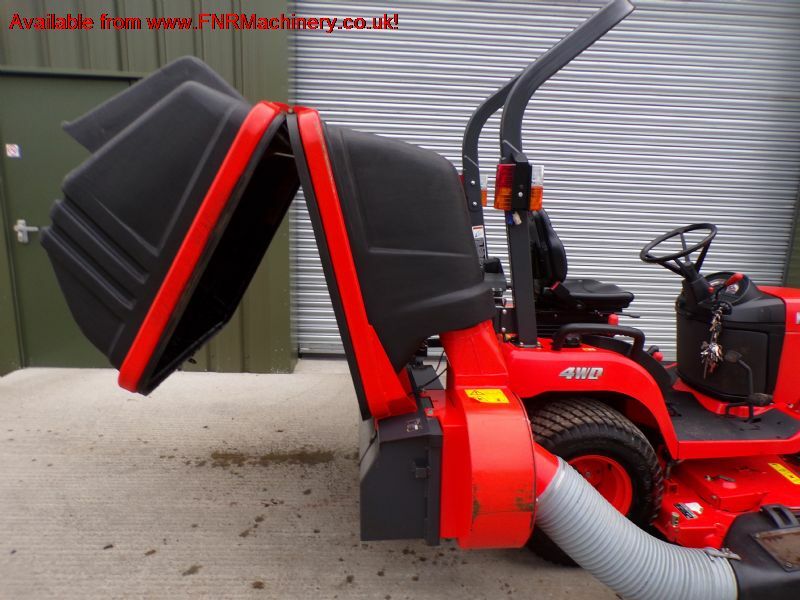 Versatile, with optional attachments available separately - Capable of tackling mowing and landscaping as well as heavy-duty front loader tasks, the BX2350 can also be upgraded with a wide range of attachments to suit many different jobs.